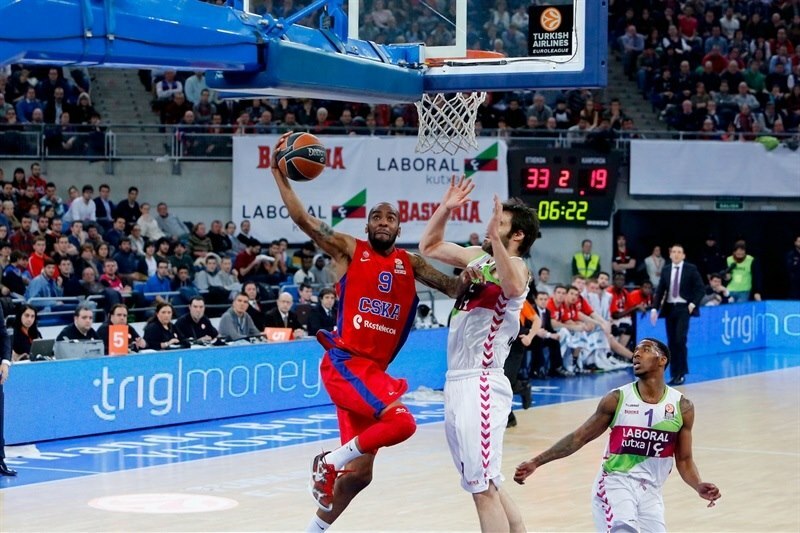 CSKA Moscow bounced back from its first home loss of the Turkish Airlines Euroleague season by rallying to beat Laboral Kutxa Vitoria 74-81 in front of over 12,600 fans at Fernando Buesa Arena on Thursday. CSKA improved to 7-2 in Top 16 Group F. Laboral dropped to 4-5 and saw its three-game home winning streak come to an end. Vitaly Fridzon led the winners with 13 points. Milos Teodosic and Nando De Colo each added 11, while Andrey Vorontsevich had 13 rebounds for CSKA. Darius Adams led Laboral with 31 points. Fernando San Emeterio added 14 for the hosts. 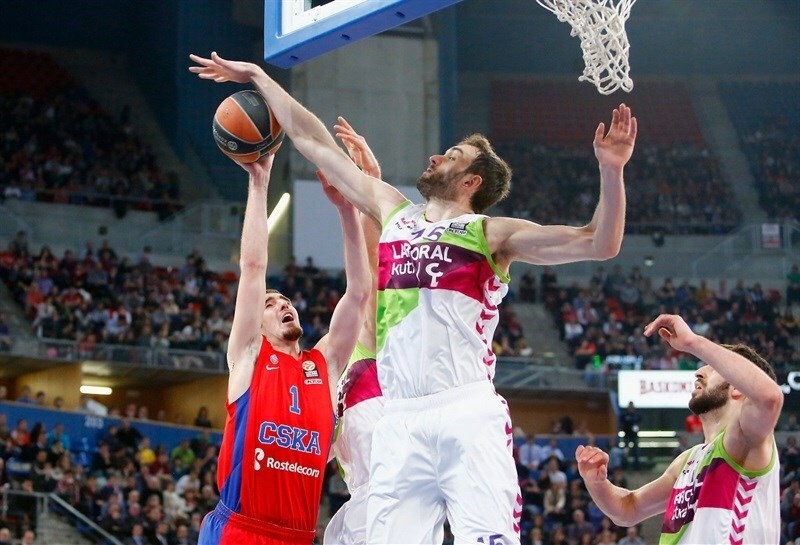 Sasha Kaun and Vorontsevich helped CSKA tie it at 11-11 but Davis Bertans, Fabien Causeur and Adams fueled a 13-0 run that gave Laboral a double-digit margin, 27-15, after 10 minutes. A free throw by Mirza Begic gave the hosts their biggest lead, 33-17. CSKA improved its defense, while Teodosic and Fridzon stepped up to bring the guests closer, 42-36, at halftime. A layup by Sonny Weems completed the guests' comeback at 44-45. Laboral did not surrender, as Adams hit back-to-back three-pointers down the stretch and soon added a free throw that gave Laboral a 72-71 lead in the next-to-last minute. Weems stepped up with the go-ahead basket, while De Colo followed a layup with free throws to seal the outcome in the final seconds. 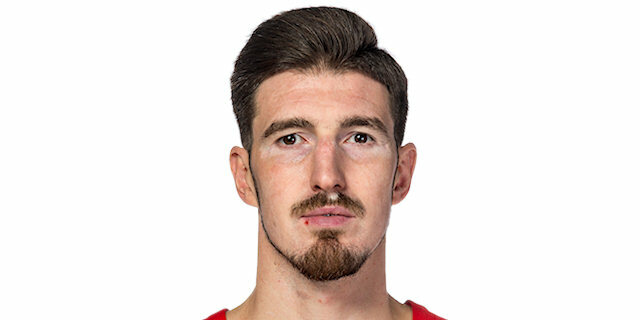 Andrey Vorontsevich got CSKA going with a three-pointer and a driving layup by Causeur kept Laboral within 2-3, as both teams played with high intensity from the very beginning. 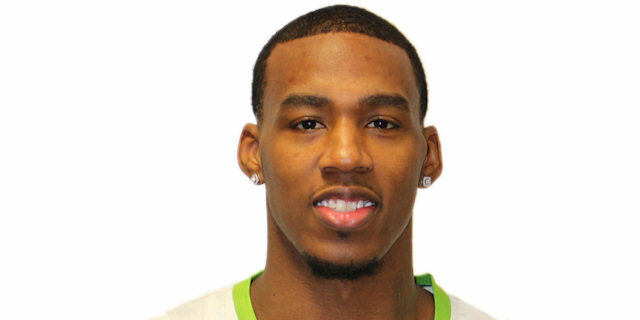 Mike James struck from downtown and a driving basket by Aaron Jackson tied it at 5-5. Sasha Kaun took over with an alley-oop dunk, but Causeur did better with a triple, good for an 8-7 Laboral lead. After Andrei Kirilenko hit free throws, Davis Bertans struck from downtown. A hook shot by Kaun tied it at 11-11. Colton Iverson shined with a put-back basket and another three-pointer by Bertans ignited the crowd at 16-11. Toko Shengelia scored in transition and an alley-oop layup by Iverson made it a 9-point game. A fast break layup by Adams caused CSKA to call timeout at 22-11. Causeur provided a highlight with a coast-to-coast layup, which capped a 13-0 run. Free throws by Nando De Colo and a layup by Kyle Hines brought CSKA within 27-15 after 10 minutes. Hines hit a turnaround jumper early in the quarter, but Adams kept pushing Laboral with a six-meter jumper in transition and a layup-plus-foul off a steal which made it a 15-point game. After Mirza Begic split free throws, Hines nailed a mid-range jumper and Jackson added a fast break layup, as CSKA improved its defense midway through the quarter. A three-pointer by Milos Teodosic caused Laboral to call timeout at 33-24. Fridzon and Adams exchanged triples and free throws by Fernando San Emeterio gave Laboral fresh air at 38-27. Fridzon hit foul shots, which San Emeterio bettered with a three-pointer. Vorontsevich took over with a driving basket, but CSKA kept missing open shots. Even though San Emeterio hit a technical free throw, Laboral struggled to score late in the half. An outstanding Fridzon brought CSKA within 42-36 at halftime. Kaun scored down low immediately after the break, but Bertans quickly answered with free throws. Laboral kept playing with high intensity, but CSKA controlled the game with twin point guards, Jackson and Teodosic, on court. Jackson took over with an off-balance driving layup and a catch-and-shoot three-pointer by Teodosic brought CSKA within 44-43. Laboral could not find the way to the basket, as CSKA forced the hosts to use long possessions and take off-balance shots. Meanwhile, a driving layup by Weems completed CSKA's comeback, 44-45. Weems and Adams traded free throws and Begic soon put the hosts back ahead, 48-47. Kirilenko took over with a second-chance layup, which Adams bettered with a three-pointer for a 51-49 Laboral lead. After Weems answered from downtown, Adams scored in penetration. A layup by Kaun restored a 53-54 CSKA edge. A layup by Pabel Korobkov and a jumper by Adams fixed the score at 55-56. San Emeterio scored in penetration early in the quarter, as CSKA had started to miss open shots. The guests were held scoreless for more than two minutes until Jackson found De Colo for a backdoor layup. San Emeterio split free throws and a jumper by Fridzon put CSKA back ahead, 58-60. An unstoppable Adams sank a long two-pointer and San Emeterio gave Laboral a 61-60 edge with more than six minutes left. 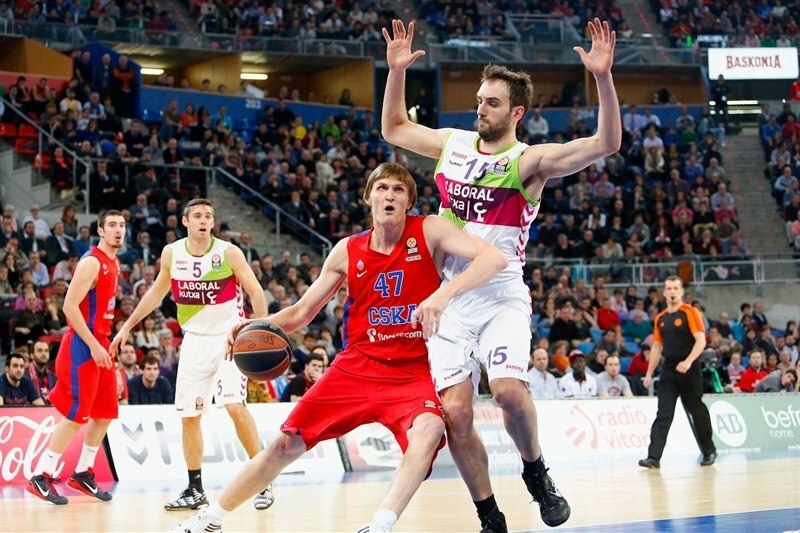 Korobkov hit free throws, which San Emeterio bettered with a three-pointer. 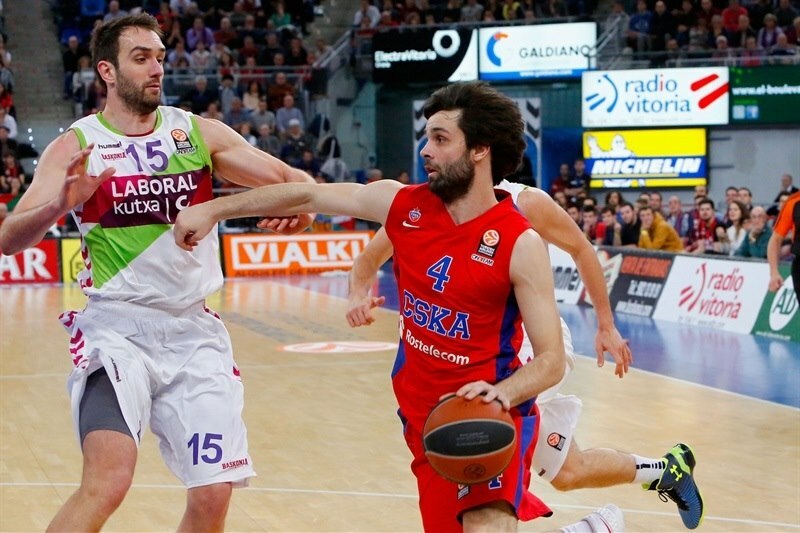 Teodosic took over with a tricky basket and a big basket by Vorontsevich gave CSKA the lead, 64-66. Teodosic struck from downtown, but Adams erased that with a turnaround circus shot. Korobkov split free throws and Adams banked in another triple for a 70-70 tie with three minutes left. Fridzon, San Emeterio and Adams split free throws for a 72-71 score in the next-to-last minute. Weems scored in penetration and a layup by De Colo gave CSKA a 72-75 lead with 52.5 seconds left. 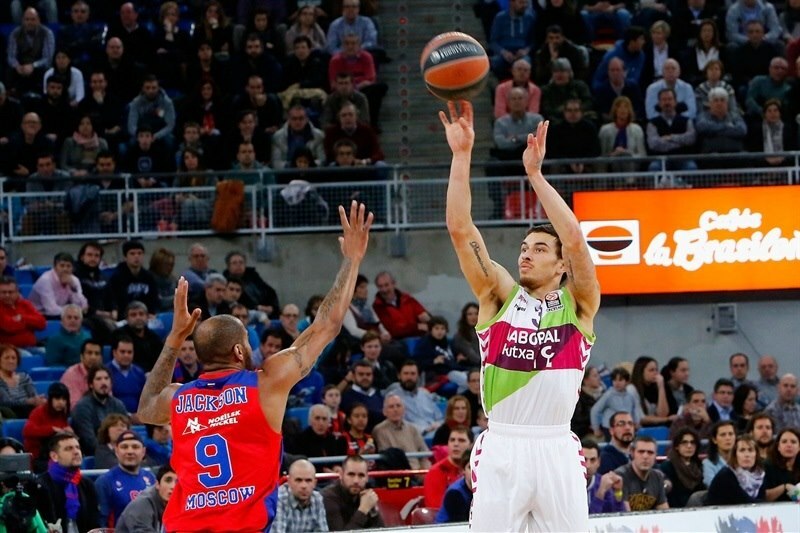 James missed from downtown and free throws by De Colo sealed the outcome, 72-77, as Laboral never recovered. "What I liked most is what I saw in the locker room after the game. I saw that nobody felt happy or satisfied because we competed against a powerhouse like CSKA. It was the opposite, everybody was very angry because we lost, and I like it. It's true that basketball is a five-on-five game, but the physical and defensive level they put on the court is steady, never decreases and that makes it very difficult to match for a team like us. We have a very particular style, we spend a lot of energy playing high pace basketball. We played good defense today, I think, but we couldn't cap it with a better defensive rebounding and that punished us a lot in the second half. We missed some key rebounds and had some key turnovers that we could have avoided, as they didn't come from their pressure. All those details prevented us from being able to grab the win." "First of all I want to congratulate my team for this win. I think everybody will agree that we saw two different pictures over the game. 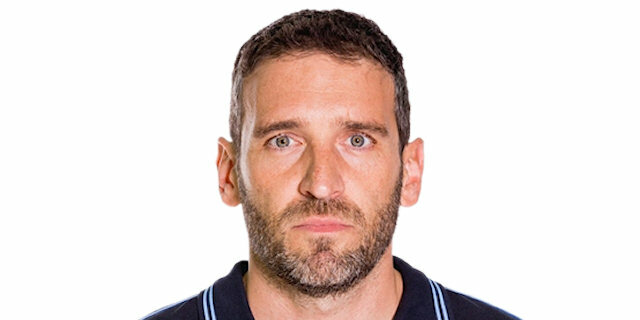 Laboral Kutxa opened the game playing very aggressive, as we expected, forcing turnovers, playing fast and taking a lot of shots. That's what explains the 27-15 disadvantage at the end of the first quarter. After that we started playing defense, working harder and I think the rest of the quarters belonged to my team, as we controlled the boards and closed the spaces as we had prepared. Playing here is always tough, because there is a very good atmosphere fans put a lot of pressure and that makes this win even better, and the way how it came it will help my team." "It is really great to play in such a crowd and atmosphere. Baskonia people, they know what basketball means and really helped their team. They have won on the road and had a fast pace in the game, but we played more as a team today. We had 22 assists today. They were good individually and made some amazing shots to come back, but I think the way we fought all 40 minutes will help my team. Congratulations to my team." "We were close tonight. I think we were just a couple of possessions short, we should have been able to slow it down in a couple of offenses, in order to get a game over the edge. We adjusted to the physical level of the game and what this competition demands from us, we practice hard to be able to play at this level, to be able to set the right tone. I feel more and more comfortable in the team, as the chemistry with the team gets better. I had a good game but we lost, so it's a bad game for me." "They started the game very strong, as we expected before the game. Laboral played with a lot of aggressiveness, as they use to do when they play at home. They made easy baskets but when we managed to react and match that level we improved and because of that we won the game. We must do this every game, we cannot choose which game we are going to play because from now on every game will be important and we must keep walking. I think this one was very important because we opened the second half with a lot of aggressiveness, we came back with a strong defensive-minded approach. Everything started on defense, as we can always find someone on offense to score."